Hey guys! I have little mini-review for you today! I have these under the "purchased by me" tag but they were actually a gift from my sister in law in Australia! It me forever to get to them, shame on me! I love them so much (heart eyes)! First up is a brand I've seen online but never owned until now! Its called Nail It! (giggle) and this minty (matte!) crème is called Sports girl. I didn't write down how many coats I used but I'm pretty sure it was 3! The formula was a bit tricky as with all matte crèmes, this is the only matte crème I have, the rest of the matte polishes I have are shimmery, etc! 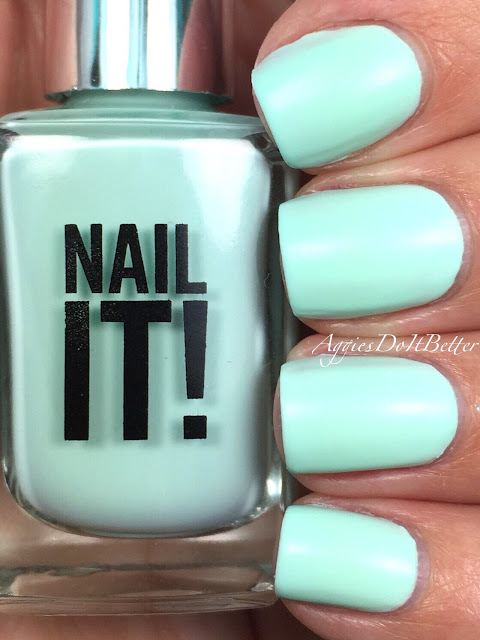 But who can resist a good mint nail polish?? NO ONE I say! I used the other polish she gave me, Face of Australia "Studio 54" to create a little gradient with a sponge! 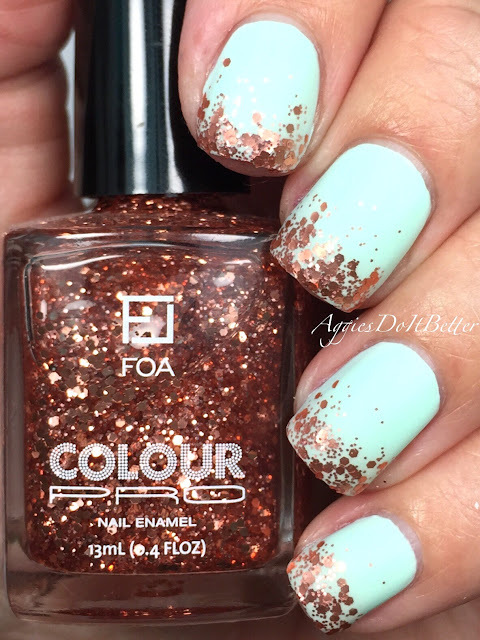 Its a really pretty coppery glitter topper. I added a coat of my OPI matte topcoat to keep it matte! What do yall think? ?